The "Golden Pearl Hourglass" Shaving Brush| Your choice of badger knot, synthetic knot, or handle a la carte! 1950s/60s Betterware “Senior” Shaving Brush. NOS. Pure White Hog Bristle. Men's Shaving Accessories. 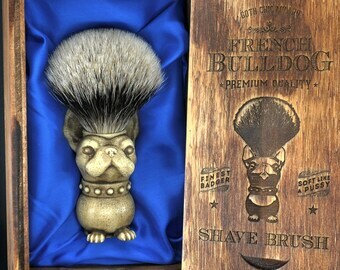 Retro Shaving Brush. Wet Shaving Brush. 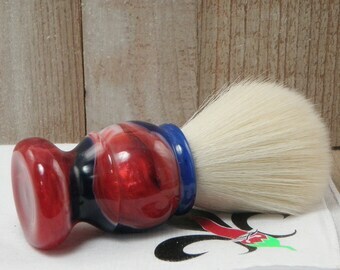 The "Old Glory Swirl" Shaving Brush| Your choice of badger knot, synthetic knot, or handle a la carte! 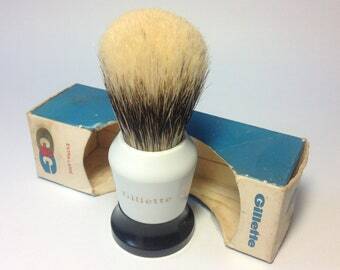 1950s Gillette "Extra Large" Shaving Brush. NOS. Men's Shaving Accessories. Retro Shaving Brush. Wet Shaving Brush. English Gillette Brush. 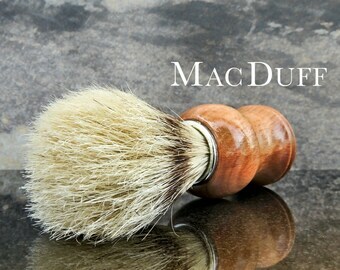 The "Deep Space" Shaving Brush| Your choice of badger knot, synthetic knot, or handle a la carte!